The La Quinta Inn & Suites Houston Galleria Area has been awarded the 2016 TripAdvisor Certificate of Excellence award. Enjoy our expanded hot breakfast featuring eggs, breakfast meat selection, and Biscuits & Gravy Samsung Flat-panel TVs with 30 channels of HD programming. Easy-access Plug-and-Play feature makes it simple to connect electronics. 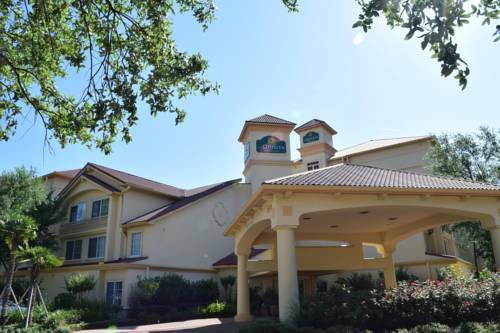 Located just west of Downtown Houston in the upscale Galleria area, the La Quinta Inn & Suites Houston Galleria is close to Texas Medical Center, Greenway Plaza and all three Pro Sports Stadiums. We are only minutes from the eateries and shopping at the Galleria Mall complex and convenient to all international consulates, including the Consulates of Brazil, India, Mexico, People's Republic of China, Korea and Netherlands. The Greenway Plaza business district and Richmond Night Club are nearby, which includes NRG Park, Minute Maid Park (Astros), Toyota Center (Rockets/Aeros), BBVA Compass Stadium (Dynamos),Downtown Entertainment District, the Theatre and Museum District, George R. Brown Convention Center, Rice University, University of Houston, Texas Southern University, and the University of St. Thomas, are all within 5 miles. The La Quinta Inn & Suites Houston Galleria has two meeting rooms, and spacious interior corridor rooms, with king and two-room suites available, all with free high-speed Internet access. Enjoy the beautifully landscaped secluded courtyard and the heated pool and spa. Work out in our on-site fitness center (Memorial Park and Jogging trails are just a short drive). We provide a free Bright Side Breakfast each morning featuring eggs, breakfast meat selection, and biscuits & gravy and area restaurant delivery service is available.